But back in the late 1800s, marriage advice for brides-to-be looked a lot different. 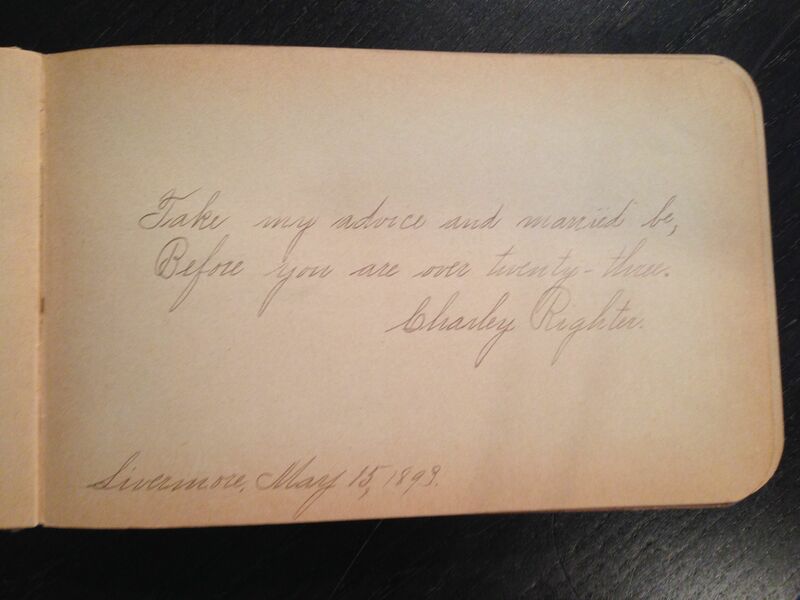 The following photos were posted to Reddit recently of a “wedding autograph book” from 1893. Inside, nineteenth century relatives of Agnes Nevin offer up their love advice — and while it’s unclear from the photos if Agnes was single, engaged, or soon-to-be married at the time, it’s clear matrimony was on everyone’s mind.